After I put in my order, the sole waitress did a sprint to the kitchen and disappeared for awhile. I heard some cooking and then my Miki Ramen arrived. 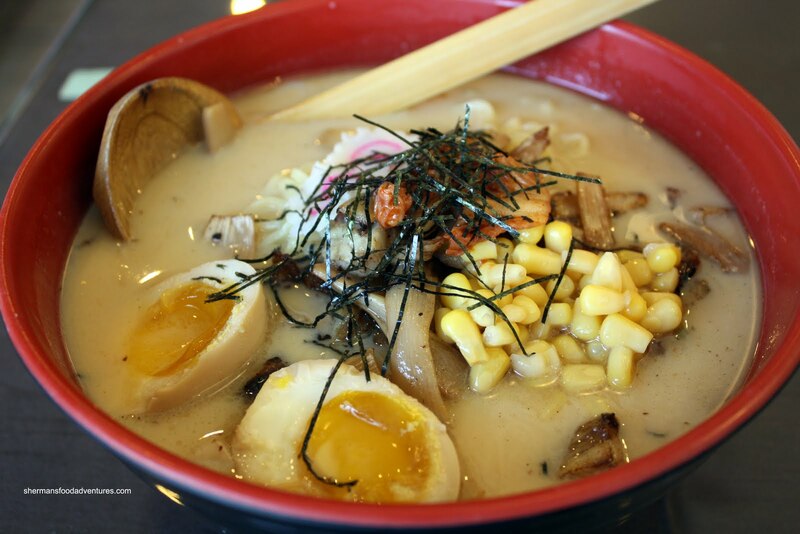 Apparently their self-proclaimed "most popular item", it consists of a miso ramen with pan-fried chashu, bamboo shoots, corn, kimchi and Ajitama Egg. The first thing that struck me was how greasy the broth felt in my mouth. Either the broth itself is oily or the panfried items (with its oiliness) integrating into the soup. The broth itself was actually alright with a thick richness to it. However, it was a bit bland (could be good for those who don't like salt). The ramen itself was cooked perfectly al dente with a nice rebound. I also liked the Ajitama Egg. I added a Chashu Rice and the small portion was perfect as a side to my ramen. 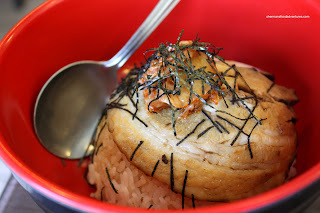 Once again, the waitress disappeared and re-emerged with a fatty piece of pork (yet curiously dry) rested atop slightly dry ric e. However, there was a nice amount of shoyu penetrating the rice which provided the necessary moisture and flavour. Even with some shortcomings, I enjoyed the rice. 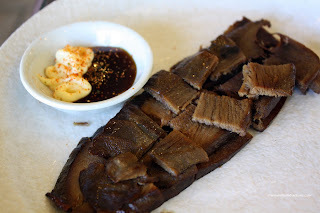 I wasn't planning on ordering anymore food but there was BBQ Beef Tongue on their specials menu. If you know me, if there is tongue, I'll eat it. I love tongue. However, I wasn't really all that enamored about this tongue. It was not moist; rather it was quite dry. I don't like dry tongue! Although, the accompanying "takoyaki-like" sauce did help with that somewhat. 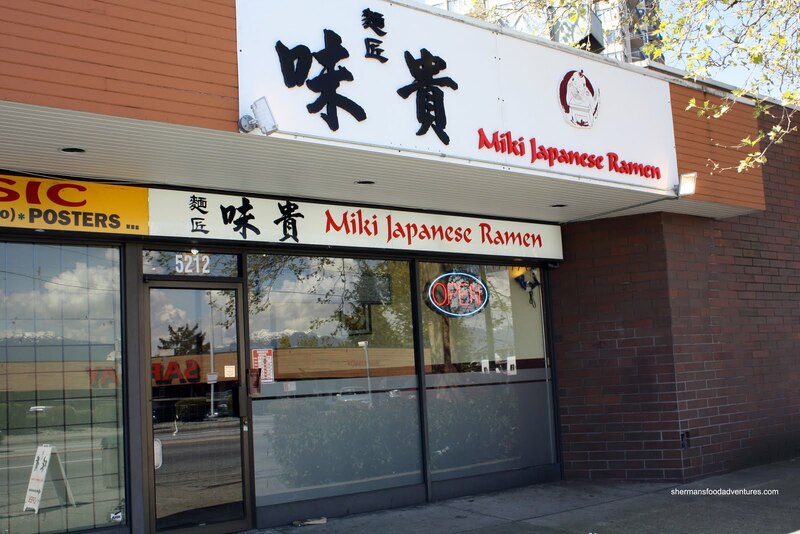 Overall, the food here at Miki is passable. 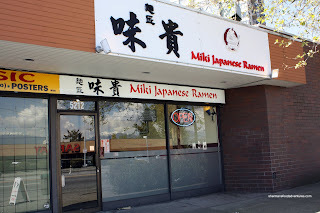 It does not compare with the big boys in Downtown; but it is better than Kawawa Ramen nearby. My ramen was $10.00 and I could eat all that other food easily. Also, it's pricey also since the other ramen places in Downtown are far superior for less. What about the BBQ tongue? Yah, I heard about Kenzo. I'll make it out to there eventually... The tongue was $5.00. It was only average tongue. In fact, pretty average altogether. This place used to be Asian 54 which we miss dearly!